Ross and Rachel. Ross and Rachel walking down the asle. . Wallpaper and background images in the Ross and Rachel club tagged: ross rachel friends jennifer aniston david schwimmer love ross and rachel. 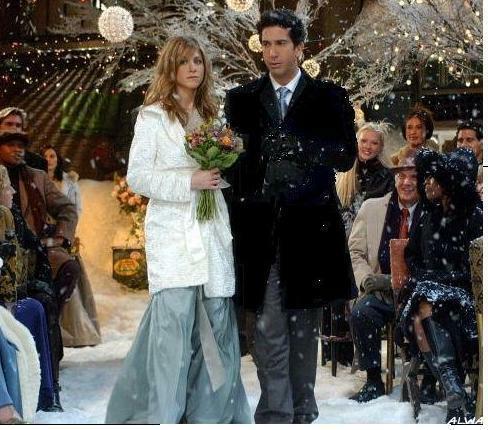 Ross and Rachel walking down the asle. This Ross and Rachel photo might contain street, city scene, and urban setting. The dog is gone. Scary. haha.